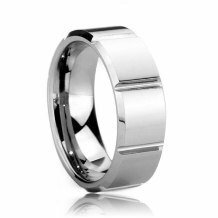 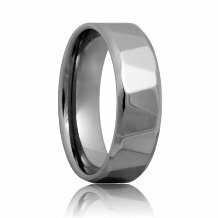 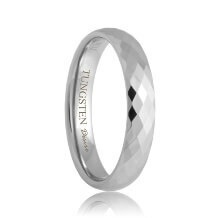 Faceted Tungsten Bands feature multi dimensional precision cuts. 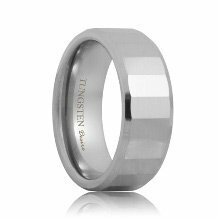 These custom precision cuts on our Faceted Tungsten Carbide Wedding Bands to are systematically produced at precise depths and angles to optimally reflect light. 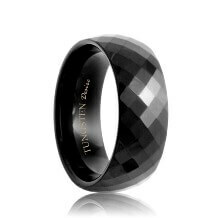 This produces a reflection similar to a prism and it gives these faceted tungsten wedding bands a very chic look.